Nick Kohut and a lab mate turned their academic interest in mobile robotics into an exciting business—Dash Robotics, which sells a small, insect-like running robot that you can control with a smartphone. We recently asked Nick about advances in running robot technology, the benefits of aerodynamic turning , and his thoughts on the future of robotics. CIRCUIT CELLAR: When did you become interested in robotics? Can you tell us about your first robotics project? NICK: I actually first became interested in robotics in 2010, which was my third year of graduate school. I had become an engineer originally because I was really interested in cars, specifically vehicle dynamics. I had just wrapped up my Master’s working on a research project at Cal with Audi, and I needed a new project for my PhD. I looked around at different labs, and the work being done in Ron Fearing’s robotics lab seemed really interesting—basically vehicles with legs. Believe it or not, I had never done any robotics or even soldered a single joint until that point. I had a steep learning curve in the lab, and my first robotics project was MEDIC, a 4 cm walking robot. It was pretty tough but I learned a lot, and fell in love with the subject. 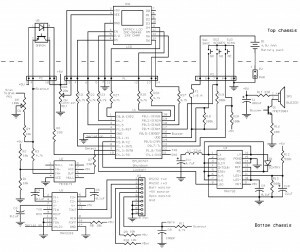 CIRCUIT CELLAR: Why did you decide to focus your studies on control systems? Whose work inspired you to focus on control systems? NICK: At the University of Illinois Prof. Andrew Alleyne was one of my advisors, and I took his intro controls course junior year. I really liked it—controls and dynamics are definitely my favorite subject, anything that moves keeps my interest. It also had a lot of math which I was pretty decent at for an engineer so I did really well in the class. I decided I should study it in grad school. What they don’t tell you is that grad school controls is totally different, but I ended up liking that too. CIRCUIT CELLAR: Tell us about the work you did in the Biomimetics and Dexterous Manipulation Laboratory under Professor Mark Cutkosky. NICK: I was only in Mark’s lab for about seven months. It was a great place to work, but I had founded Dash Robotics in between taking the postdoc position and actually starting the postdoc. Because of that I only worked on one project and in seven months there’s only so much you can do. I was trying to scale up an Electroactive Polymer actuator (EAP) for use in Honda’s Asimo robot. It’s an interesting challenge that involves a lot of rapid prototyping, materials research, and solid mechanics. Also quality control, which is hard to in a lab setting. CIRCUIT CELLAR: How did you come to use aerodynamic forces to turn running robots? What led you to this field of research? NICK: This actually started with biologists like Robert Full and Tom Libby studying lizards. Bob and Tom had discovered that when lizards jump they use their tail as a form of attitude control. They had also shown that in a wind tunnel they will use their tail to turn. I was tasked with getting a robot to turn using a tail, which I did with some pretty good success. TaylRoACH (the robot I built in 2012) ended up being the fastest turning legged robot in the world. It could turn 90° in 1/4 of a second. After I had shown that, I started to wonder what else the tail could do. I tried a lot of things – mostly back of the envelope ideas—like stability on inclines or using as a “7th leg” in confined places. A lot of those didn’t work out, and someone suggested I use it as a helicopter blade, half-joking. It got me to thinking, what if you used it as a sail? I ran the numbers in like an hour and realized, man, this might actually work. CIRCUIT CELLAR: What are the benefits of aerodynamic turning? NICK: There are a few benefits. One interesting thing is that it will only work at small scales, but that’s probably where you want it. When robots start to get smaller and smaller, you become really limited with what you can do. You can’t add a lot of sensors, actuators, or computing power (though this is changing every day!). So you probably have a very simple robot, maybe only a few actuators. The SailRoACH has six legs, and only three actuators, but can make wide turns, rapid turns, and pretty much everything in between. So it can keep things simple. It also can be used in a research setting to study the dynamics of the robot. If you want to add a constant yaw disturbance to the robot and measure how that affects its running ability, this is a way to do that. This may sound like an esoteric need but it’s how research gets done, and it helps us understand running robots better. CIRCUIT CELLAR: Tell us about the Millirobot Enabled Diagnostic of Integrated Circuits (MEDIC) project. Why did you start the project and what were the results? NICK: MEDIC was an interesting project because it was my first robotics project and we were trying to solve a very difficult problem, which was “Can you build a robot to navigate inside a computer motherboard?” We were contracted to work on this with Lockheed Martin, and they supplied the software end of things. Basically we built this incredibly small robot (~5 cm and 5 g) that had legs and a hull that would allow it to scoot around a motherboard, turn, and climb over basic, short obstacles (like a microchip). I worked on the mechanics and design of the robot, with a lot of help from other lab members on the electronics, and Lockheed provided the software that allowed MEDIC (called “Adorable Turtle Bot” by us) to navigate. It actually had a little camera on it, so it would take a picture, send that information to a laptop, then the laptop would send a few instructions (“go forward two steps, then turn left for two step”), the robot would execute the instructions, take another picture, and repeat the process. It was pretty cool because you had this tiny robot doing SLAM and navigating autonomously inside a computer motherboard. Unfortunately it was slower than oatmeal running downhill and didn’t work most of the time, but that’s research. By the end we had some results we were very happy with and wrote two solid publications on it. CIRCUIT CELLAR: What led you and your co-founders to launch Dash Robotics in 2013? And can you tell us about your current team? NICK: My co-founder Andrew and I were lab mates in grad school and climbing buddies. We both knew that we wanted to run our own business, because we couldn’t stand working in a cubicle; it’s why we were in grad school in the first place. This idea of starting a business bounced around for a couple years but we never did anything with it. In the meantime, we had been to various events at schools and museums and saw that people loved the robot, they just went wild for it. Everyone asked to buy it but we always told them, “no, this is just a research tool.” In late 2012 we saw the first beginnings of all these smart toys and thought “well, what we have here is way cooler than that.” So we formed Dash Robotics, Inc. We hadn’t even graduated yet but we got a lot of support from the University and friends and family and were able to make it until February 2015 without taking any venture investment. Now I’m very happy we have that. The robots are made flat. Simple fold and assemble them. 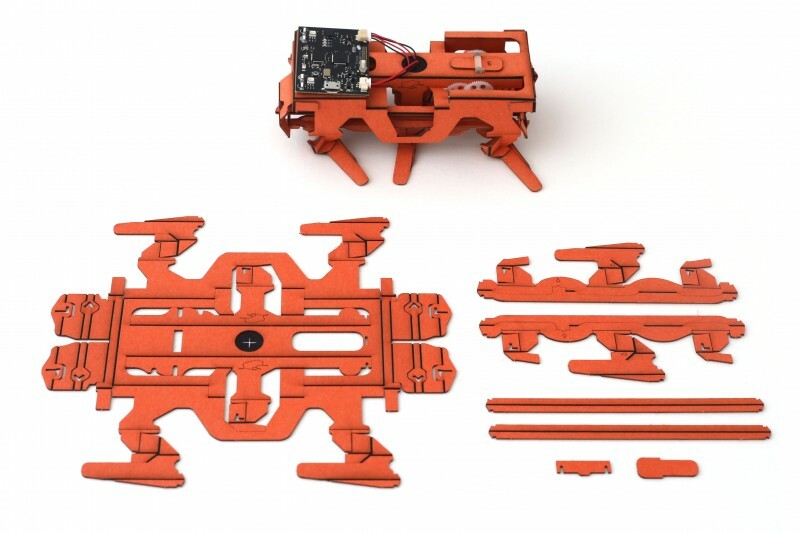 CIRCUIT CELLAR: Dash’s first robot is a phone-controlled, insect-like running robot. It is shipped “origami”-style for people to assemble themselves. Tell us a bit about the process of planning and designing the robot. NICK: This is pretty tough to answer in one question. The “origami” style is a process called SCM that was originally developed at UC Berkeley. The design is all done in 2-D and then cut out and folded up to 3-D, so it takes a bit of experience to become good at designing mechanisms using this process. You can’t just build it in 3-D CAD and see what it will look like before making it. There are some people who are trying to change that, like Dan Aukes from Harvard. Right now we still do it all on intuition and experience. The original robot was developed in 2009, and it saw incremental changes over the next 4 years or so. In 2013 when we founded the company we had a whole new set of requirements for the robot (a research tool and consumer product are vastly different) so we started making a lot of changes. There have probably been at least 50 revisions since 2013—maybe 100. Each time it gets a little better, and we do a lot of testing to make sure we’re on the right track. CIRCUIT CELLAR: Is DIY, hobby robotics your main focus at Dash Robotics? Do plan you branch out, perhaps into robot systems for industry, military, or medical applications? NICK: That’s our main focus right now, along with making a product that kids will love as well. I think there are a lot of potential directions like agriculture, infrastructure inspection, search and rescue, etc. That’s much further down the road though. CIRCUIT CELLAR: What’s next for Dash Robotics? Where would you like to see the company in 12 months? NICK: With its products flying off store shelves and a great team in place making it all happen! CIRCUIT CELLAR: What are your thoughts on the future of robotics? NICK: This is a great, and of course difficult, question. It also depends on how you define robotics. I think on one end you’re going to see a lot of jobs displaced by self-driving cars and trucks, robotic dishwashers, housecleaners, etc. On the other end AI is going to be able to do a lot of knowledge work now done by lawyers, doctors, and engineers. Both of those advances are going to be a major challenge for society. If you’re talking about mobile robotics specifically, where a lot of my interest lies, there is a major challenge in actuators and power density. Boston Dynamics builds some amazing machines but the internal combustion engine is loud and dirty, and current lithium batteries are only going to get you so far. Tesla is working very hard on the battery problem, and hopefully its new Gigafactory will bring prices down. If Tesla makes a big advance in battery technology I think you may see a whole new category of mobile robots breaking out. This interview appears in Circuit Cellar 304 (November 2015). Atmel Corp. is now shipping the ATmegaS128 microcontroller targeting next-generation space applications. Atmel’s first Rad-Tolerant device, ATmegaS128 delivers full wafer lot traceability, a 64-lead CQFP, space screening, space qualification according to QML and ESCC flow, and total ionizing dose up to 30 Krad (Si) for space applications. The ATmegaS128 is available in a ceramic hermetic packaging and is pin-to-pin and drop-in compatible with existing ATmega128 MCUs. This provides flexibility between commercial and qualified devices and thus enables faster time-to-market and lower development costs. A complete STK600 starter kit and development system for the ATmegaS128 AVR MCU is available. You can design with an industrial version of the ATmega128—with the exact pin-out of the ATmegaS128—to save costs. The new AVRs are supported by the proven Atmel Studio IDP for developing and debugging Atmel SMART ARM processor-based MCUs and Atmel AVR MCU applications, along with the Atmel Software Framework. Keysight Technologies recently announced introduced a software plug-in for the M8070A system software for M8000 Series BER test solutions. The M8085A MIPI C-PHY receiver test solution is designed for conformance and margin tests. The MIPI C-PHY 1.0 standard supports camera and display applications. The standard comprises multilevel non-NRZ non-differential signaling. The Keysight M8190A arbitrary waveform generator (AWG) is the right instrument to generate such signals. The M8085A easy-to-use editor option enables you to set up the parameters and pattern content of test signals for turn-on and debug interactively from the GUI in familiar, application terms. During parameter adjustments, the software controls the AWG hardware to maintain uninterrupted signal generation. In addition, the M8085A software provides the industry’s first complete and standard-conformant routines for calibration of signal parameters and physical layer (PHY) receiver tests. Thus, you can achieve results without expertise in the MIPI standard or with arbitrary waveform generators. The software plug-in provides several options for selecting the error-detecting device. You can connect to the built-in detector in the device under test via the IBERReader interface, which transfers the test result to the M8085A software and displays the result in the GUI. Plus, it enables fully automated unattended tests. The M8085A C-PHY software with various options is now available. STMicroelectronics recently announced a new power supply chip intended to minimize “vampire power.” Meeting the international specification for zero standby power, the new chip offers an intelligent way of of managing the wake-up function in appliances, industrial, and lighting equipment. STmicro’s new VIPer0P IC helps reduce wasted power and CO2 emissions by enabling effective zero-power standby in appliances. With its patented smart-management capability, the VIPer0P enables an appliance to be woken up from standby via a touchscreen or remote control. In addition, the IC consumes less than 5 mW in idle mode (at 230-VAC supply). An off-line power-converter IC, VIPer0P—which can be configured as a flyback, buck, or buck-boost switched-mode power supply (SMPS)—is the latest member of STMicro’s VIPerPlus series. Additional features include integrated high-voltage startup circuitry, error amplifier with 1.2-V reference and separate ground for direct feedback connection, and a sense-FET for energy-efficient current sensing. These simplify design and minimize external components thereby saving bill-of-materials costs and board space. In addition, VIPer0P’s self-supply design simplifies transformer selection by eliminating any need for an auxiliary winding. Exar Corp. recently launched a new family of RS-232 (EIA/TIA-232) transceivers designed to operate from 3- to 5.5-V supplies. 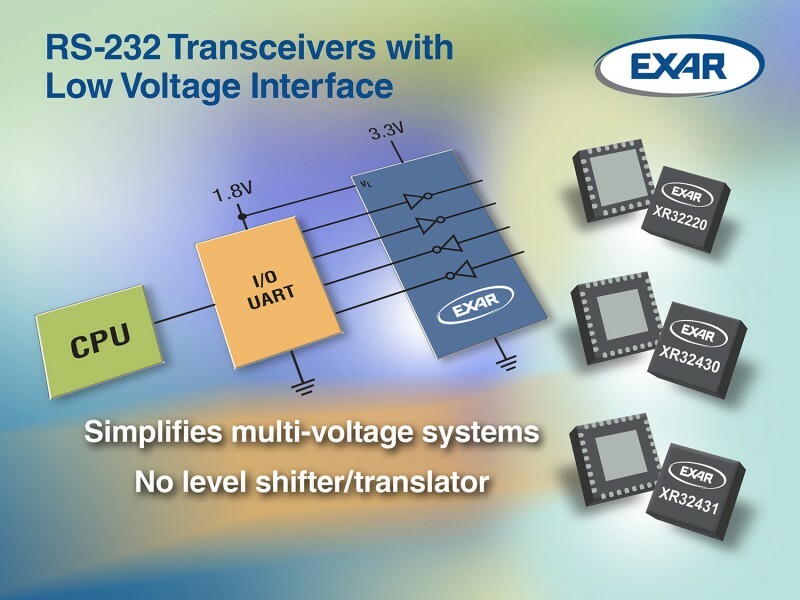 The XR32220, XR32430, and XR32431 transceivers include an adjustable low-voltage logic interface that simplifies their use in low- and multi-voltage systems. The XR32220 and XR32431 feature a low-voltage logic pin (VL) for adjusting the transceiver’s logic output levels and input thresholds for compatibility with lower supply voltage logic. The VL range is 1.65 to 5.5 V. The adjustable low-voltage interface eliminates the need for a level shifter/translator between the transceiver and UART or microcontroller. The XR32220, XR32430, and XR32431 are available in RoHS-compliant, green/halogen free, space-saving 4 mm × 4 mm QFN (XR32220) and 5 mm × 5 mm QFN (XR32430/31) packages. They cost from $0.74 to $0.94 in 1,000-piece quantities. 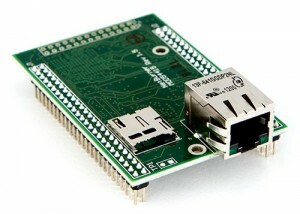 Demoboards and samples are available at http://www.exar.com/transceivers. The cloud is changing the way we build circuits. In the near future we won’t make our own symbols, or layout our own traces, review our own work, or even talk to our manufacturers. We are moving from a world of desktop, offline, email-based engineering into a bold new world powered by collaborative tools and the cloud. I know that’s a strong statement, so let me try to explain. I think a lot about how we work as engineers. How our days are filled, how we go about our tasks, and how we accomplish our missions. But also how it’s all changing, what the future of our work looks like, and how the cloud, outsourcing, and collaboration are changing everything. For the past five years I’ve been a pioneer. I started the first company to attempt to build a fully-cloud circuit design tool. That was years before anyone else even thought it was possible. It was before Google docs went mainstream, and before Github became the center of the software universe. I didn’t build it because I have some love affair with the cloud (though I do now), or because deep down inside I wanted to make CAD software (eek! ), I did it because I believed in a future of work that required collaboration. So how does it work? Well, instead of double clicking an icon on your desktop, you open your web-browser and navigate to upverter.com. Then, instead of opening a file on your harddrive, you open one of your designs stored in the cloud. It loads, looks, and feels exactly the same as your existing design tools. You make your changes, and it automatically saves a new version, work some more, and ultimately export your Geber files in exactly the same way as you would with a desktop tool. The biggest difference is that instead of working alone, instead of creating every symbol yourself, or emailing files, you are part of an ecosystem. You can request parts, and invite your teammates or your manufacturer to participate in the design. They can make comments and recommendations—right there in the editor. You can share your design by emailing a URL. You can check part inventory and pricing in real-time. You get notified when your colleagues do work, when changes get made, and when parts get updates. It feels a lot like how it’s supposed to work and maybe the best yet, it’s cheaper too. Let me dispel a few myths. The cloud is insecure: Of course it is. Almost every system has a flaw. But what you need to ask instead is relative security. Is the cloud any less secure than your desktop? And the answer shouldn’t surprise you. The cloud is about 10× MORE secure than your office desktop (let alone your phone or laptop). It turns out when companies employ people to worry about security they do a better job than the IT guys at your office park. Collaboration is for teams: True. But even if you feel like you’re on a team of one, no one really works alone these days. You order parts from a vendor, someone else did your reference design, you don’t manufacture your boards yourself. There could be as many as a dozen people supporting you that you don’t even realize. Imagine if they had the full context of what you’re building? Imagine if you could truly collaborate instead of putting up with emails and phone calls. I believe the future of hardware design, and the future of circuits, is in the cloud. I believe that working together is such a superpower that everyone will have to do it. It will change the way we work, the way we engineer, and the way we ship product. Hardware designed in the future, is hardware designed in the cloud. 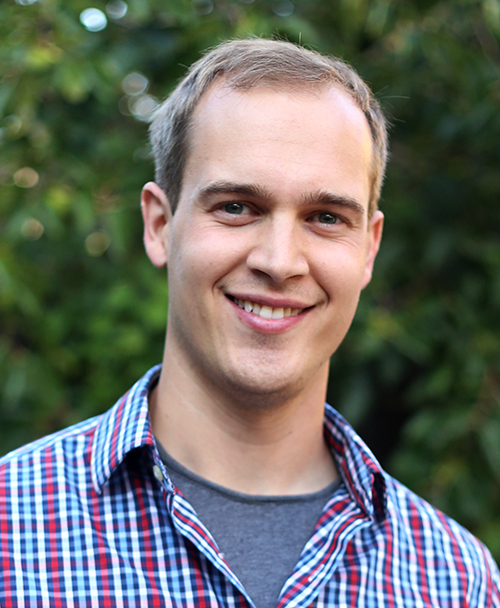 Zak Homuth is the CEO and co-founder of Upverter, as well as a Y Combinator alumni. 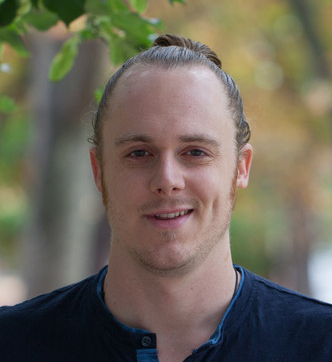 At Upverter, Zak has overseen product development and design from the beginning, including the design toolchain, collaborative community and ondemand simulators. Improving the rate of innovation in hardware engineering, including introducing collaboration and sharing, has been one of his central interests for almost a decade, stemming from his time as an hardware engineer working on telecommunication hardware. Prior to Upverter, Zak founded an electronics manufacturing service, and served as the company’s CEO. Before that, he founded a consulting company, which provided software and hardware services. 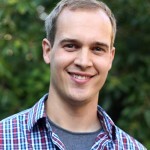 Zak has worked for IBM, Infosys, and Sandvine and attended the University of Waterloo, where he studied Computer Engineering before taking a leave of absence. Tired for sharing a crowded electronics lab? 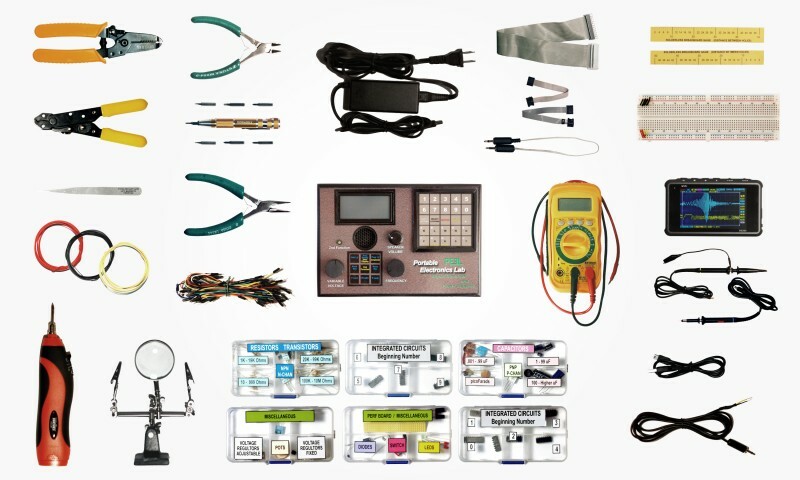 Now you can take your electronics lab wherever you go with Ideallion’s Portable Electronics Lab (PEEL), which is a complete, battery-operated lab packed with handy instruments such as a power supply, function generator, and oscilloscope. Ideallion launched its pre-order campaign on October 11, 2015. “We have designed the PEEL system to advance the art and the science of electronics engineering. We believe this will unleash torrents of new experiment and achievement throughout the community, from the newest student to the most experienced engineer,” PEEL inventor Bob Faust noted in a statement. A multimeter that features auto-ranging and auto-power off, as well as measuring DC/AC voltage (100 µV to 600 V), DC/AC current (0.1 µA to 10 A), resistance (0.1 Ohm to 40 MOhm), capacitance (0.1 nF to 200 µF), frequency (10 Hz to 10 MHz), and duty cycle (0.1% to 99.9%). It also measures temperature in Fahrenheit and Celsius. A hand-held oscilloscope that features two analog channels and and two 0-5 V digital channels. The analog channels sample simultaneously at 36 Msamples/sec per channel. The bandwidth is good at 4 MHz, slightly less at 5 MHz, but still usable at 10 MHz. The digital channels resolve 50 ns on signals as low as 3 V with 1:1 probe. Sampling permits capture and hold of rare events. Power supplies use lithium-ion batteries, with a 2,200-mAh capacity. All outputs are short-circuit protected, as is the charger. A function generator gives you the waveform you need, when you need it. BreadCubes: a flexible solution to create solderless breadboards that will accommodate any design, any configuration. Just snap them together and plug in your components and wiring. Advanced Linear Devices (ALD) has launched a family of Supercapacitor Auto Balancing (SAB) Metal Oxide Semiconductor Field Effect Transistors (MOSFETs) intended for industrial applications to regulate and balance leakage currents while minimizing energy used for balancing supercapacitor cells stacked in series stack of two or more. The MOSFETs are well-suited for a variety of industrial-grade energy storage applications that require an operating temperature between –40° to 85°C. Each device in the industrial SAB MOSFET ALD8100xxx/ALD9100xxx family contains 26 different products, each of which can balance supercapacitors up to four cells in a single IC package. Starting with two cells, the devices can balance an unlimited number of supercapacitor cells stacked in a series. In addition, each device in the SAB MOSFET family dissipates near zero leakage current to eliminate extra power dissipation. Available in both quad and dual packages, the industrial SAB MOSFETs are made with ALD’s precision EPAD technology. 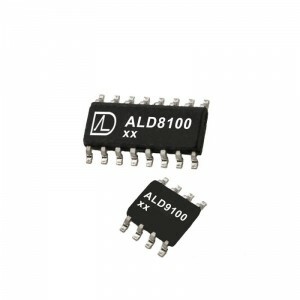 The ALD8100xx/ALD9100xx SAB MOSFET family is available in industry standard 16-L or 8-L SOIC packages. One thousand-piece pricing starts at $1.76 each. RF Solutions’s GAMMA smart plug-in RF module offers incredible range and simple setup. You can it as a remote control, data modem, or a bidirectional switch. The latest addition to RF Solutions’s SMART Radio family, the module uses spread-spectrum technology and extensive algorithm enhancements to achieve 16-km range. With eight switch inputs or eight digital outputs, you can use two GAMMA’s modules as a receiver/transmitter remote control. Alternatively, you can set up a transceiver between two GAMMAs, where outputs on the receiving GAMMA will follow the inputs on the transmitting GAMMA. Ready to use right out of the box, the GAMMA works either on its own or as a part of an existing system. 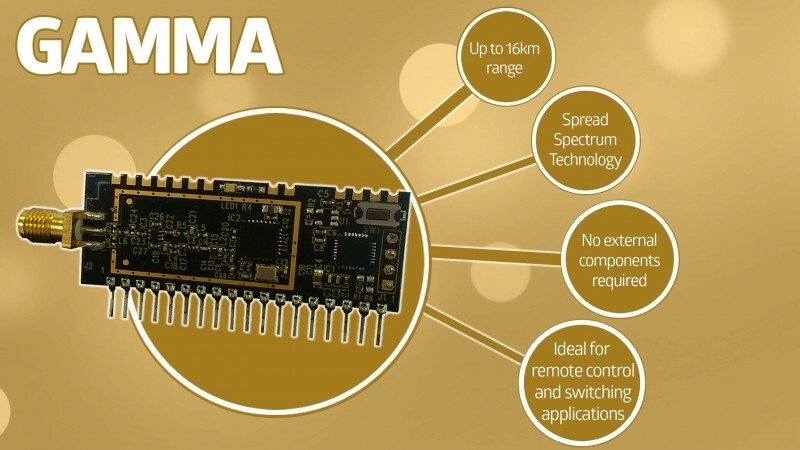 It’s available in 868 and 915 MHz (with an option of SMT or SIL), you can use the GAMMA for a variety of applications. Linx Technologies recently introduced new pre-certified remote control and sensor transceiver modules. Built on the Hummingbird platform, the HumRC Series transceiver is a frequency hopping spread spectrum (FHSS) transceiver designed for reliable bidirectional remote control and sensor applications. Available in 900 MHz, the HumRC outputs up to 10 dBm, which results in a line-of-sight range of up to 1 mile. 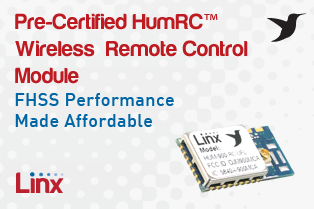 The HumRC Series module is a completely integrated RF transceiver and processor designed for bidirectional remote control. It employs a fast-locking FHSS system for noise immunity and higher transmitter output power as allowed by government regulations. The remote control transceiver has eight status lines that can be individually configured as inputs to register button presses or as outputs to drive application circuitry. A selectable acknowledgement indicates that the transmission was successfully received. Primary settings are hardware-selectable, which eliminates the need for an external microcontroller or other digital interface. The transceiver also has two analog-to-digital (ADC) inputs for sensors or circuits that output an analog voltage. The module can automatically respond to a command with these values, so a sensor node does not need an additional microprocessor. To aid rapid development, the HumRC Series low-cost RF modules are available as part of a newly conceived type of Master Development System. This development kit is intended to assist in the rapid evaluation and integration of the HumRC Series data transceiver modules. It features several preassembled evaluation boards that include everything needed to quickly test the operation of the transceiver modules. 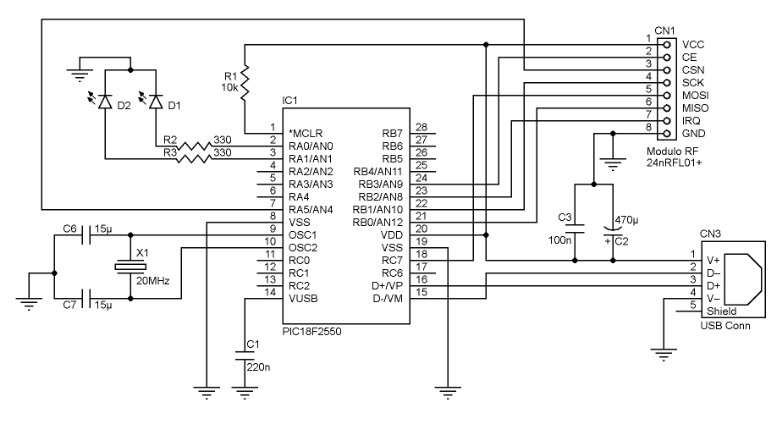 Spot the schematic error? Take the October Electrical Engineering Challenge (sponsored by NetBurner) now! This month, find the error in the schematic posted below (and on the Challenge webpage) for a chance to win a NetBurner MOD54415 LC Development Kit ($129 value) or a Circuit Cellar Digital Subscription (1 year). 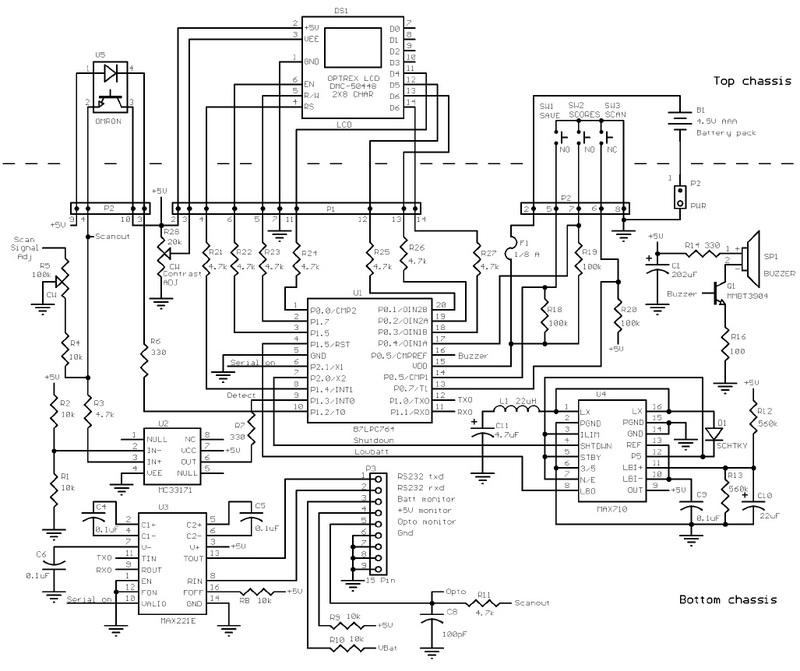 Find the error in this schematic and submit your answer by October 20, 2015. Submit via the Challenge webpage. Click image to access submission form. Out of each month’s group of entrants who correctly find the error in the code or schematic, one person will be randomly selected to win a NetBurner IoT Cloud Kit and another person will receive a free 1-year digital subscription to Circuit Cellar. NetBurner MOD54415 LC Development Kit: You can add Ethernet connectivity to an existing product or use it as your product’s core processor! The NetBurner Ethernet Core Module is a device containing everything needed for design engineers to add network control and to monitor a company’s communications assets. The module solves the problem of network-enabling devices with 10/100 Ethernet, including those requiring digital, analog, and serial control. Circuit Cellar Digital Subscription (1 year): Each month, Circuit Cellar magazine reaches a diverse international readership of professional electrical engineers, EE/ECE academics, students, and electronics enthusiasts who work with embedded technologies on a regular basis.Circuit Cellar magazine covers a variety of essential topics, including embedded development, wireless communications, robotics, embedded programming, sensors & measurement, analog tech, and programmable logic. NetBurner solves the problem of network enabling devices, including those requiring digital, analog and serial control. NetBurner provides complete hardware and software solutions that help you network enable your devices. 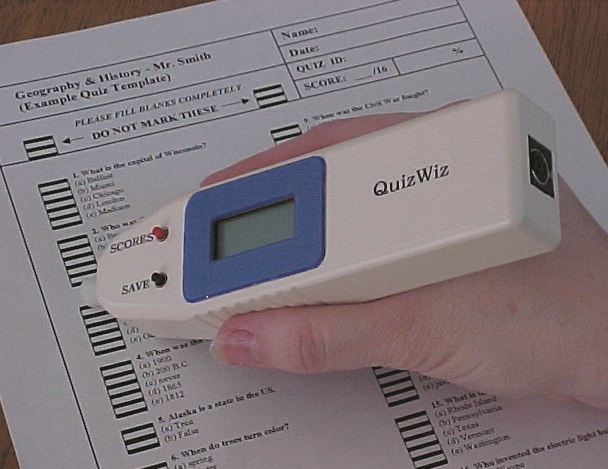 The QuizWiz is an innovative hand-held device that teachers can use to score multiple choice tests. It’s unlikely that you’ll need such a device, but you’ll surely learn a lot from Paul Kiedrowski’s description of the design process. 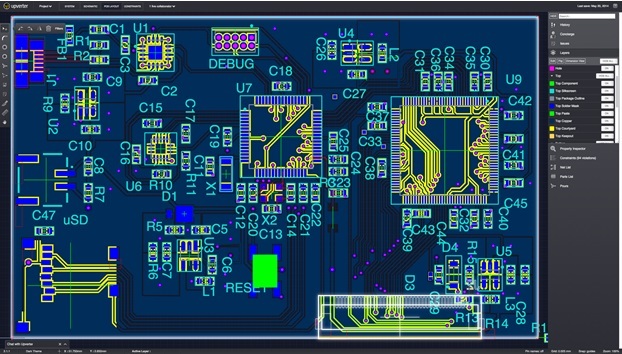 He covers the circuit design, hardware analysis, software, and more. For automatic scoring of multiple choice tests, many schools use a commercially available system based on a desktop card reader machine, which requires that students mark their answers on preprinted forms of specific size and layout. This method is expensive because of the equipment and score cards, therefore usually it’s used only for critical testing. In most cases, because only one centralized scoring machine is available to teachers, it is not located in the classroom where it would offer the most convenience. Perhaps more importantly, the most useful time to evaluate test results is immediately after a test so that feedback could be given and the missed questions discussed promptly. This is especially desirable for periodic quizzes where the intent is to allow the teacher to quickly gauge the classroom’s learning progress. What is needed is a better, lower cost, convenient way of quickly scoring quizzes. To answer these needs, I developed a hand-held scoring device based on an 8-bit microprocessor I dubbed QuizWiz. The 87LPC764 is a new 20-pin offering that combines fast speed, 8051 code compatibility, and low cost. This processor is ideally suited for this project because of its 4K code space, power-saving modes, serial port, and remaining 16 I/O pins. Philips wanted to create a device simple to operate and affordable enough that every teacher could own one (see Photo 1). QuizWiz has several features that make the teacher’s ability to score multiple-choice quizzes fast and easy. It reduces scoring time to only 10–15 s per page. It is capable of scoring tests printed on standard paper without preprinted forms, using a word-processing template. QuizWiz does not require machine-assisted paper handling mechanisms. Also, as a hand-held device, it operates on three AAA batteries. The processor is inexpensive ($30 for parts) and measures only 6″ × 1.7″ × 1.0″. Simple to learn, the new teacher’s aid requires only two buttons to operate. An eight-character by two-row LCD displays the status and results. There is a buzzer to provide distinctive audio feedback. QuizWiz has automatic power shutdown, providing a long life (estimated at >100 quiz sets). The flexible quiz format allows multiple columns and/or pages. For your convenience, there is temporary memory storage of results during power shutdowns. Totals, per question and per quiz, are available. QuizWiz can handle eight choices per question, four columns of questions, and 32 questions per quiz. The processor provides an RS-232 serial connection for uploading results in real time to a PC, which allows tracking of which questions were missed per student. 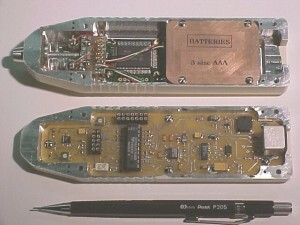 Figure 1: Here you can see the 87LPC764 processor, MAX221 RS-232 interface, and MAX710 DC/DC converter. The device supplies 5 V to the LCD, which uses a 4-bit interface to save I/O pins. Figure 1 shows the circuitry has been partitioned by the two chassis sections. A PCB in the lower half contains most of the components, whereas the sensor tip, LCD, and battery compartment are in the upper half. The processor was DIP socketed for the development phase (see Photo 2). Photo 2: The main two-sided PCB has ample room for parts, mainly because of the housing size needed to fit the AAA battery pack and LCD. A single reflective opto-sensor was chosen to perform the scanning detection process, with an optimum sensor-to-paper distance of 1.0 mm. To preserve battery power, the opto-sensor LED is only activated when QuizWiz is pressed against the paper, which depresses a mechanical switch located in the tip. An alternate scheme initially considered required two sensors, the second one used for scanning a parallel column of markings intended only to synchronize the scan position. The additional LED would have significantly increased the power consumption, however. Normal battery operating current is approximately 25 mA when all circuits are operating, 15 mA when not scanning, and 20 mA during shutdown. Using three AAA batteries in series, with a typical capacity of 1000 mA/h, the teacher can score approximately 100 quizzes for a classroom of 30 students. QuizWiz uses a simple three-chip design consisting of the processor, a 5-V DC/DC converter, and an RS-232 three-wire interface. The 87LPC764 is a good match for the required QuizWiz features, because all of its pins and most of its features are used in this project. The only features not used are the I2C interface and analog comparators. To minimize cost further, no external crystal is required, because the processor conveniently includes an internal 6-MHz RC oscillator..
IAR Systems recently launched IAR Connect, which is a portal that presents product development platforms and serves as hub intended to connect innovators interested in the Internet of Things (IoT) and other emerging technologies. One of the first members of IAR Connect is Renesas Electronics. Customers using the Renesas Synergy Platform can begin product development at a high level of abstraction and focus completely on designing innovative features for embedded applications and connected devices. “The best way to take advantage of the possibilities of the new connected world is by providing new technology offerings, sharing knowledge and establishing strategic alliances, such as our strong partnership with Renesas. With IAR Connect, we enable innovation by connecting people and technologies. 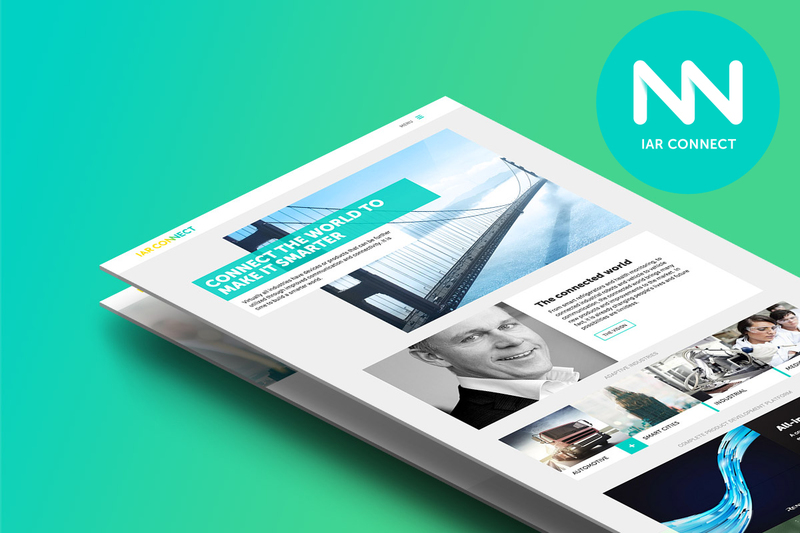 I invite everyone to connect, get inspired and explore the potential of the Internet of Things and the connected world at www.iarconnect.com”, said IAR Systems CEO Stefan Skarin in a released statement. 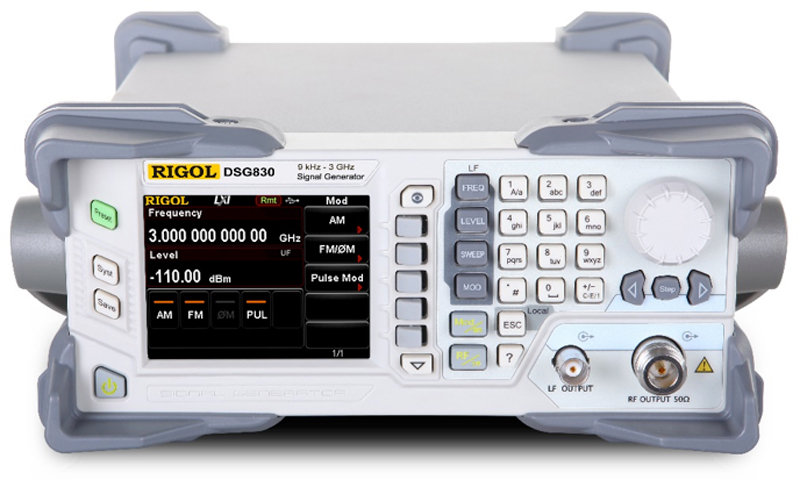 RIGOL Technologies recently expanded its portfolio of RF Test solutions with the launch of the DSG800 Series RF Signal Generator. The series—which is targeted at engineers implementing Bluetooth, Wi-Fi, and other RF interfaces in embedded systems—covers output frequencies from 9 kHz to 3 GHz. It provides maximum output power up to 20 dBm and low SSB phase noise of –105 dBc/Hz, amplitude accuracy of ±0.5 dB, and frequency resolution 0.01 Hz at any frequency. An oven-controlled crystal oscillator timebase provides less than 5 ppb temperature stability and less than 30 ppb/year aging stability. There are two models in the DSG800 series. THe DSG815 (9 kHz to 1.5 GHz) costs $1,999. The DSG830 (9 kHz to 3 GHz) costs $3,599.